Green Lantern: The Animated Series Premieres 11/11 | The Daily P.O.P. The emerald guardian of the space ways will arrive in style, starring in his own animated series. The first computer generated program from Batman: The Animated Series, Superman and Justice League animator Bruce Timm, this should be quite the event. Series producer Giancarlo Volpe spoke to Newsarama about Green Lantern: The Animated Series, his history with comics and what fans can expect from this ground breaking cartoon. Newsarama: Giancarlo, you’ve worked on plenty of different animated series, but Green Lantern: The Animated Series is your first one that’s strictly comic book-based. Were you pretty well versed in the medium, or did this project require some amount of research? I kind of lost track of it over the years; I’m not sure why. In recent years, especially with all these superhero movies are coming out, it’s really hit that nostalgia for me. I wasn’t the biggest Green Lantern fan. To be honest, I didn’t know a lot. Thankfully, a friend of mine told me, if you’re going to read Green Lantern, read the Geoff Johns stuff. So I ordered all of those graphic novels on Amazon and kind of caught up. It was actually really cool because of the way he sort of started with Hal’s origin, and then introduced all this color spectrum stuff. It was such a great introductory course to Green Lantern. I feel like a lot of what I get inspiration from is from those books. Nrama: And very direct inspiration, it seems, as the Red Lanterns — who have only been around in the comic books for about four years — are the main villains for the first season. What motivated that decision? Volpe: I guess that partially had something to do with the fact that Geoff Johns is so involved with DC creative right now. When I was brought on for this project, it was already sort of decided that it would be Red Lanterns, but I wouldn’t be if surprised if Geoff maybe made that suggestion. I actually really kind of believe in keeping it modern and keeping it current. If we would have gotten a little too nostalgic, then I think that the show would have contradicted the comics, or felt like a different world. The ideal is that kids will watch the show and see Atrocitus and Zilius Zox as Red Lanterns, and Kilowog as a green, and hopefully fall in love with them, and then they can go to the comics and see further adventures — and vice versa. Nrama: What’s the typical breakdown, then, of space versus Earth scenes for the series? It’s actually really fun. It’s very liberating; you can do anything within the budget. Like 95 percent of it takes place in space. We wanted to set up Hal as a human like any of us, who just happens to get whisked away on this much bigger universe and existence. Nrama: So did the large amount of space scenes affect the decision to make this the first CGI-animated series based on a DC comic book? Volpe: There’s this misunderstand on the Internet that CG is less expensive than traditional, and that’s actually really not the case at all. CG is actually — I would say, ballpark, twice as expensive as traditional. It’s quite an investment and a commitment to decide to do a show in CG. But the beauty of CG was obviously that you can get very dynamic lighting, and you can get very dynamic camera angles, and I think that lighting and camera angles can really make a sci-fi show soar. One of the challenges, though, is that in CG you actually have to be very prudent with how many models you build. Every character, every set, every prop is money. We have to kind of tell these stories very economically, which is one of the Catch-22s — the very nature of the show is that they go planet to planet and explore these entirely different civilizations, entirely different species, and so every time that happens we have to create this new set, this new planet, and this new species. It can be challenging, for sure. Nrama: Given that, can viewers expect to see the rest of the color spectrum beyond Green and Red Lanterns at some point? Volpe: To me, just the fact that if you make a show about Green Lanterns, and you say there are Red Lanterns, even a five-year-old kid would go, “Well, are there Blue Lanterns?” It just seems like a natural question people would ask. That stuff gets weaved in. Sinestro is a little bit of a tricky thing because we were asked not to use him very much at the time we were developing the show, because at that time his destiny wasn’t completely decided in how they wanted to play him in the future. Now that I’ve seen it, and the final scene is pretty obvious what’s going to happen to with him — that may give us some license in the future to get him. Nrama: What about the other human Green Lanterns — Kyle Rayner, Guy Gardner and John Stewart? Volpe: Someone asked me that at Comic-Con, and my response was basically, “As long as the show is a hit, and it keeps going, sure.” I would imagine we would have to at some point. With the CG restrictions, we have this very short wishlist of who we actually bring onto the show. We can’t just load it up with every human Green Lantern — but we would like to. And I understand that everyone has their favorite. It’s definitely on our radar. Nrama: It seems like a natural thing to incorporate, especially given how John Stewart was the main Green Lantern in the Justice League cartoon. Volpe: Yeah. Even Bruce has a particular affinity for John Stewart. It could happen. Nrama: Wanted to ask about voice acting a little bit — Josh Keaton is Hal Jordan, who is known to comic book fans as Peter Parker in Spectacular Spider-Man. What made him right for the role? Volpe: When we were auditioning it wasn’t really going across our minds, “Do we want Spider-Man to play Green Lantern?” Honestly, the audition was just like anything else, where we’re just trying people out, and seeing who gets the jokes, who delivers them naturally, who gets the subtle stuff that’s going on in the writing the best, who sounds likeable. Josh just really stood out. I would say that the biggest difference between Peter Parker and Hal Jordan is that if Peter Parker is sort of a nerd, Hal Jordan is kind of a jock. Josh does both well. I’ve come to know him a lot better over the year, and he’s got both sides of him. He’s got this geeky side to him that really likes superhero stuff, but he’s also sort of got a little bit of this charming cockiness to him. I think that comes through. I like that there’s a little bit of vulnerability in his delivery, he’s not totally cocky, he’s not just one-note. He’s very well-rounded. 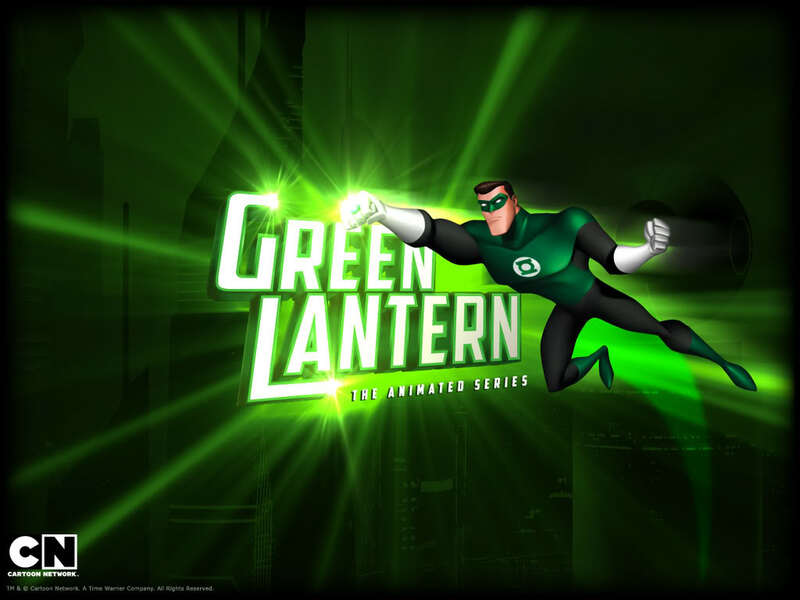 Based upon the DC Comics super hero, GREEN LANTERN: THE ANIMATED SERIES follows Earth’s Green Lantern, Hal Jordan, who is used to being in dangerous situations — but never anything like this! In the farthest reaches of deep space, Hal patrols the Guardian Frontier, where he must face down invasions from the evil Red Lantern Corps., who have sworn to destroy the Green Lanterns and everything they stand for. With ever-emerging galactic threats, Hal is soon joined by an all-new group of heroes on a mission to protect Guardian Space — and the Green Lantern Corps itself! In the first part of the two-part series premiere episode, ace test pilot Hal Jordan (voiced by JOSH KEATON), who leads a secret life as Earth’s guardian Green Lantern, is called back to Oa. Searching for the culprits behind a series of Green Lantern deaths in “Frontier Space”, Hal and his gruff fellow Green Lantern Kilowog (voiced by KEVIN MICHAEL RICHARDSON) “commandeer” The Interceptor, a prototype spaceship powered by pure Green Lantern energy and an advanced artificial intelligence system that Hal names Aya (voiced by GREY DeLISLE). In the second half of the two-part series premiere episode, Hal and Kilowog discover that a group of Red Lanterns, including the conflicted Razer (voiced by JASON SPISAK) and the vile Zilius Zox (voiced by TOM KENNY) have been targeting and eliminating Green Lanterns in Frontier Space. Along with the help from a surviving Frontier Space Green Lantern Shyir Rev (voiced by KURTWOOD SMITH), Hal and Kilowog must stop the Red Lantern leader Atrocitus (voiced by JONATHAN ADAMS) from destroying Shyir’s home planet of Colony 12. Green Lantern: The Animated Series premieres this Friday, November 11 7/6c on Cartoon Network. This Post was posted in cartoons, Green Lantern and tagged batman animated series, Bruce Timm, Green Lantern The Animated Series. Bookmark the permalink. I watched this last night… it was better than I thought it would be. I was nervous about the all CG-animation, but it mostly worked. I hadn’t read the info (intentionally) about the episode in advance so I didn’t know they were bringing in red lanterns. Looks like it is set a while after Hal is GL… rather than being a GL origin story. I think that is smart… jump right into the action, and tell his origin in a flash back later if they want to do that. I found myself investing in the characters, especially with one turn I didn’t think they would actually do… but they did. I’m wondering if this is like when they did the 1-hr Young Justice preview… and it will be several months before we get more GL or what? Given the economics of CG he stipulated, and the need to limit models, they did a good job portraying a vast galaxy.